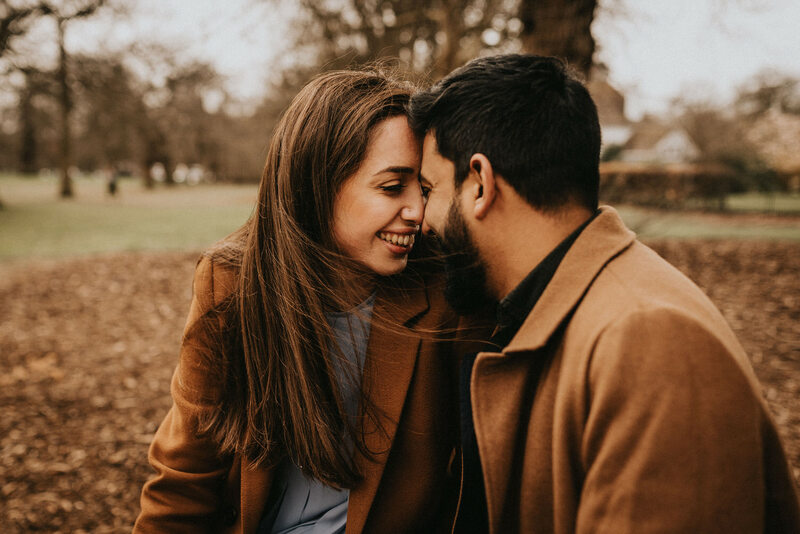 This lovely Greenwich Park pre-wedding photoshoot in London is one not to miss! 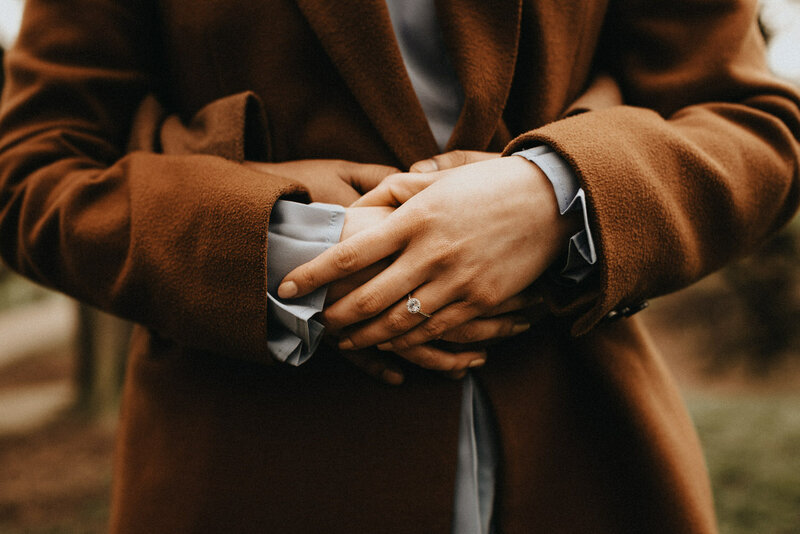 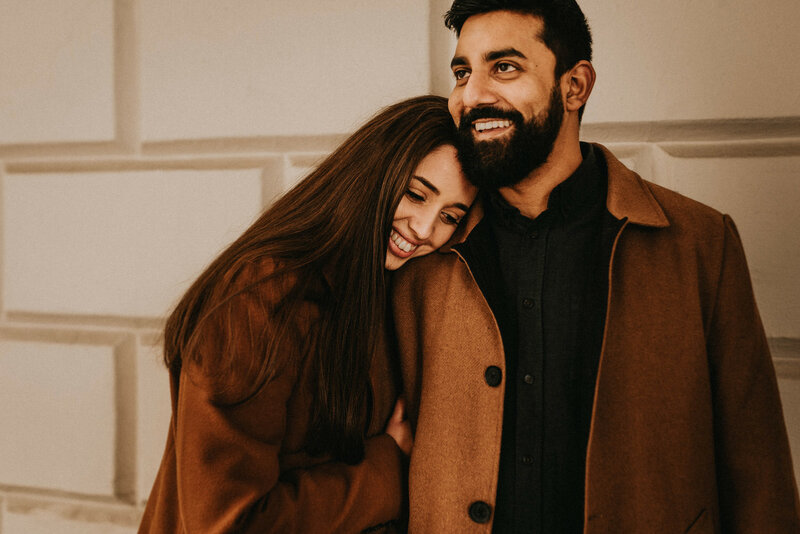 When you begin planning your wedding a pre-wedding photoshoot may be something you consider as a little ‘warm up’ and rightfully so! 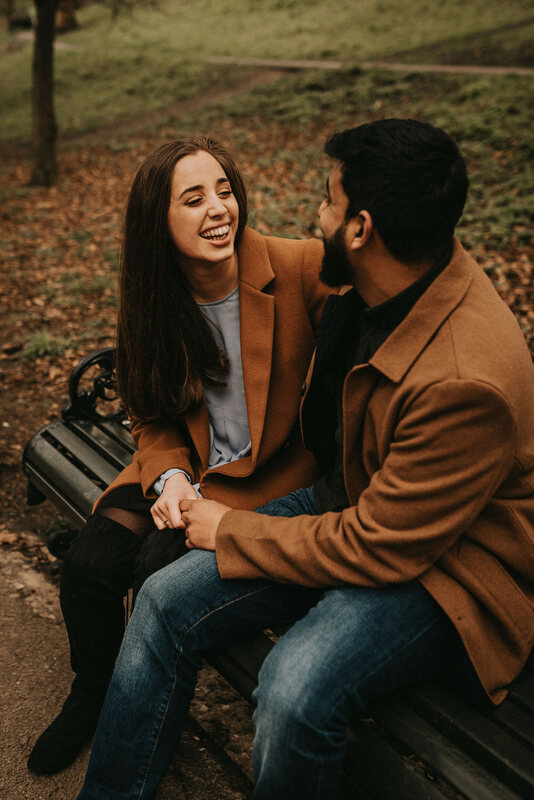 Pre-wedding photoshoots are a great way to get used to being in front of the camera and also get used to your photographer. 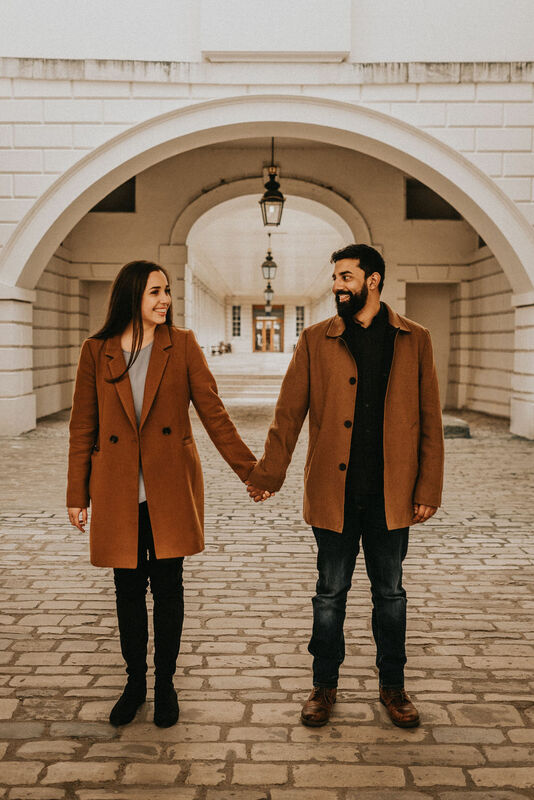 London is a destination with so much to give and so much diversity. 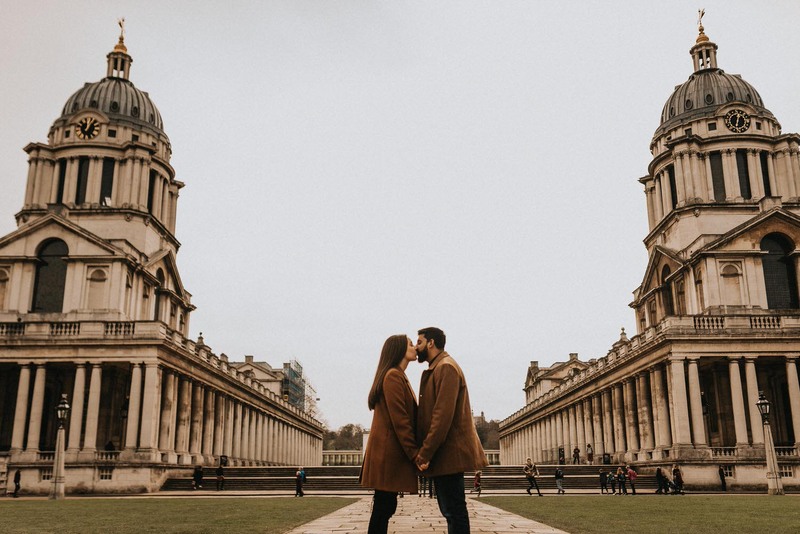 I’m pretty sure I could do 10,000 London pre-wedding photoshoots and never run out of amazing backdrops! 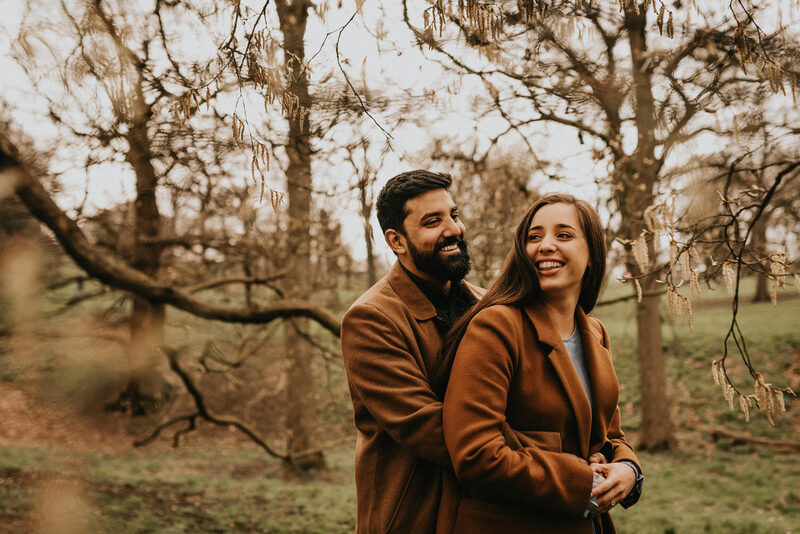 As an Essex wedding photographer traveling into London is always a pleasure to get a change of scenery from the countryside to the city, and especially exciting when you’re heading there for a Greenwich Park pre-wedding photoshoot. 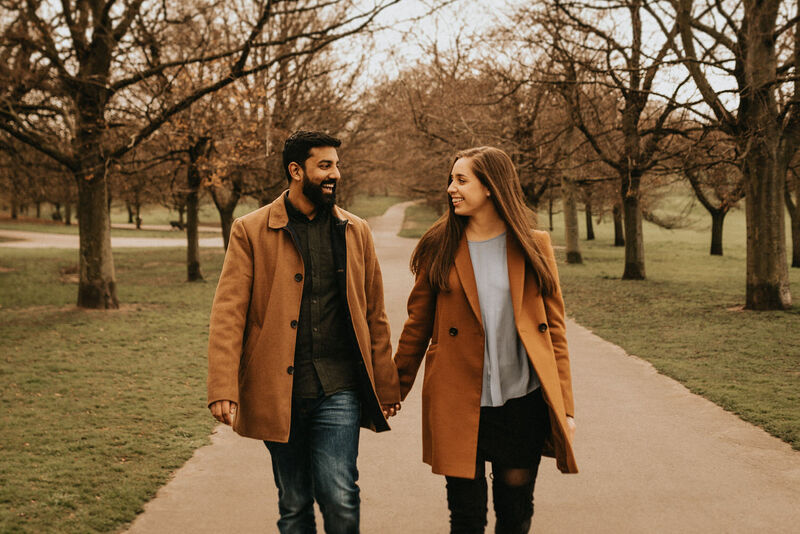 Greenwich Park is one of the 8 beautiful Royal Parks in London and home to The Royal Observatory, and also the spot Arvind proposed to Sabina! 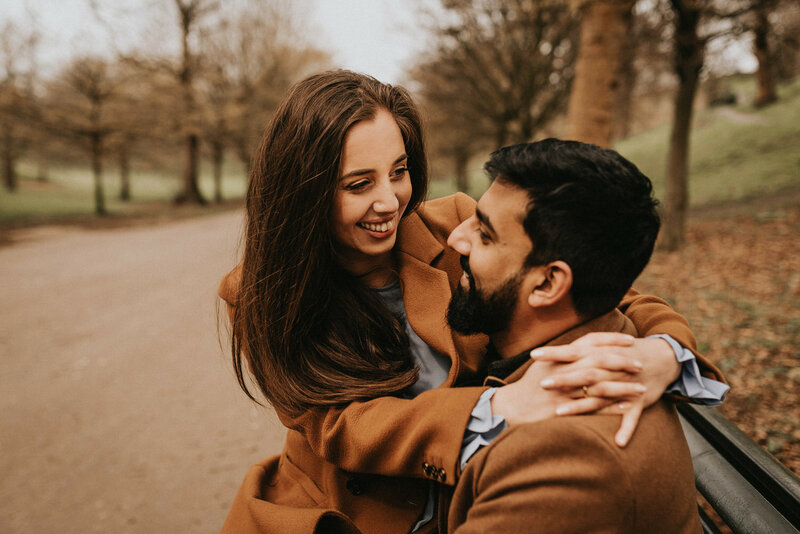 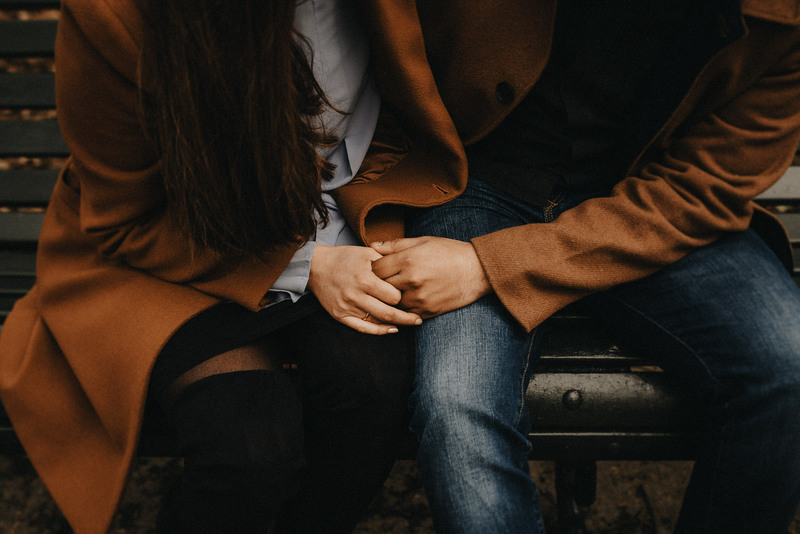 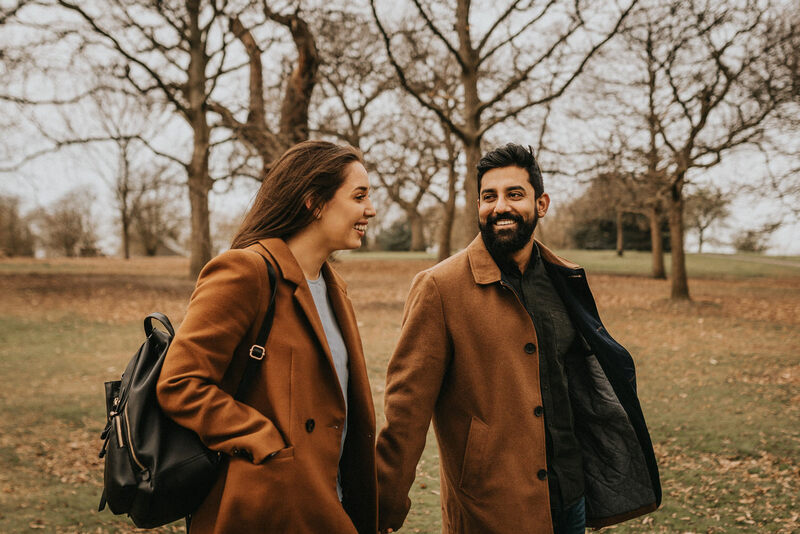 That’s what makes this Greenwich Park pre-wedding photoshoot in London so special, we were surrounded by the same surroundings they were when Arvind popped the question. 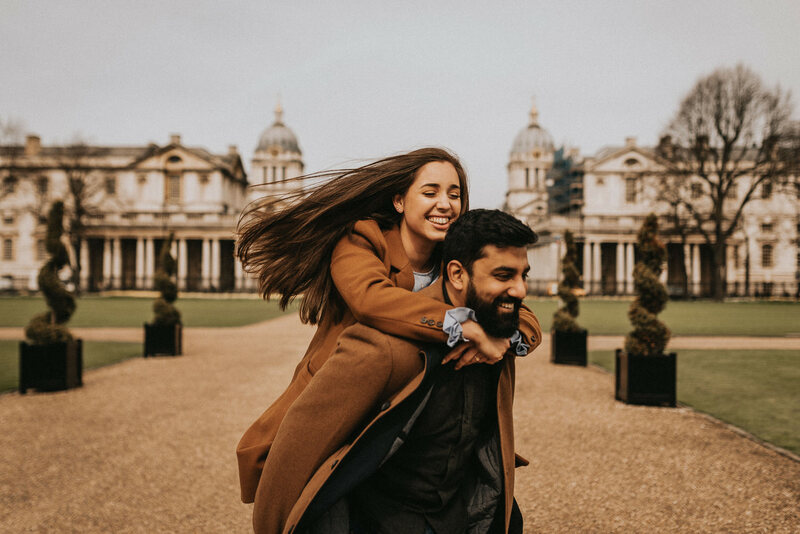 They hadn’t been back since that exciting day so visiting bought back a lot of amazing memories for them, and now they have photographs from their Greenwich pre-wedding photoshoot to remember this by too. 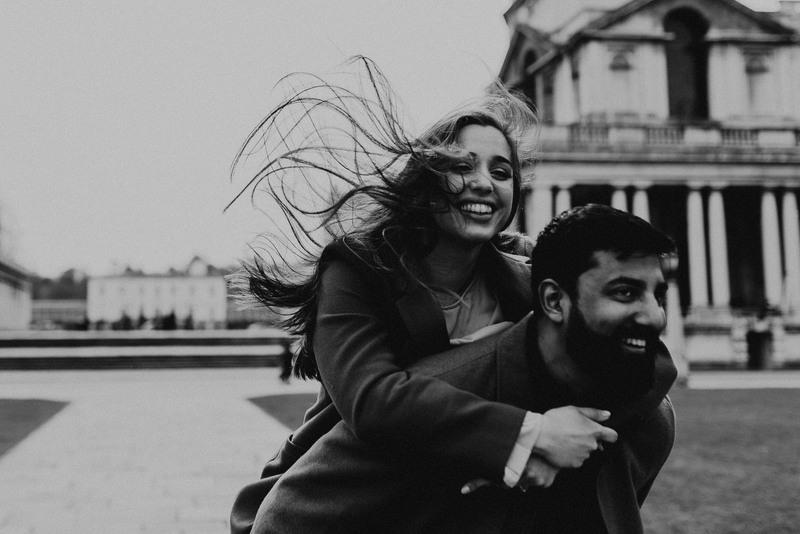 The one thing we did however totally underestimate in Greenwich Park was the hill leading up to the Observatory, anyone else climbed this before? 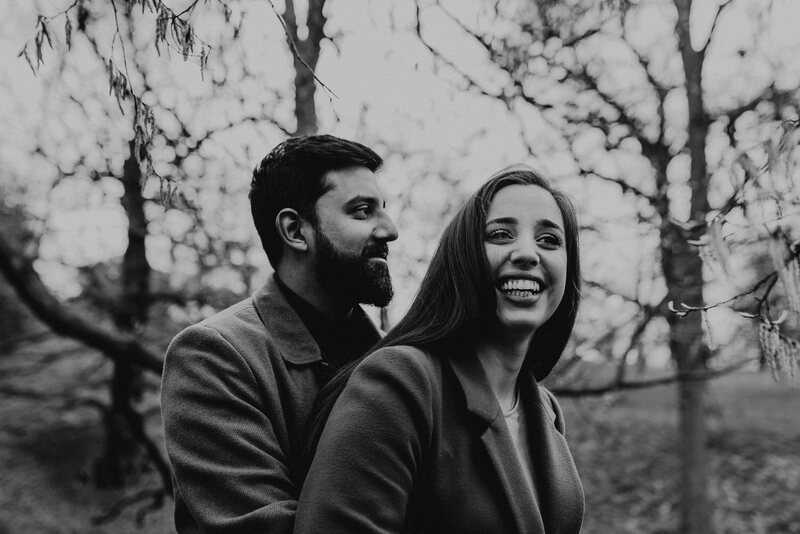 With a bag full of camera gear it wasn’t the easiest to say the least! 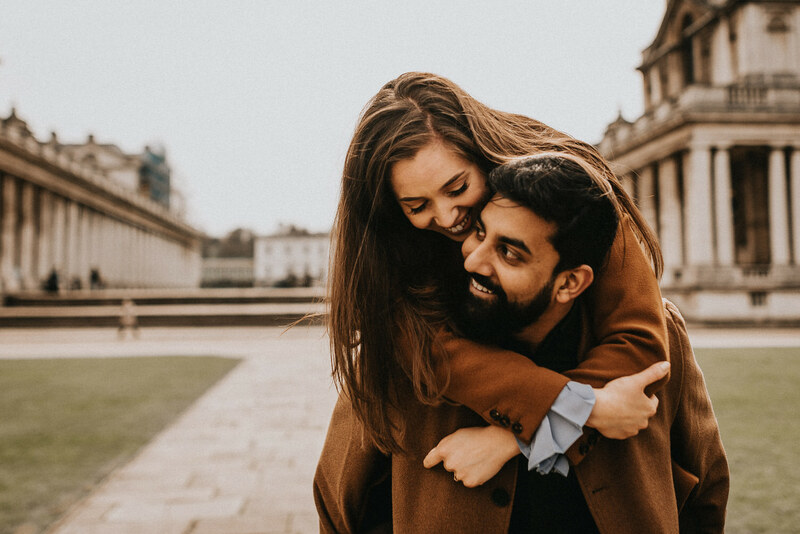 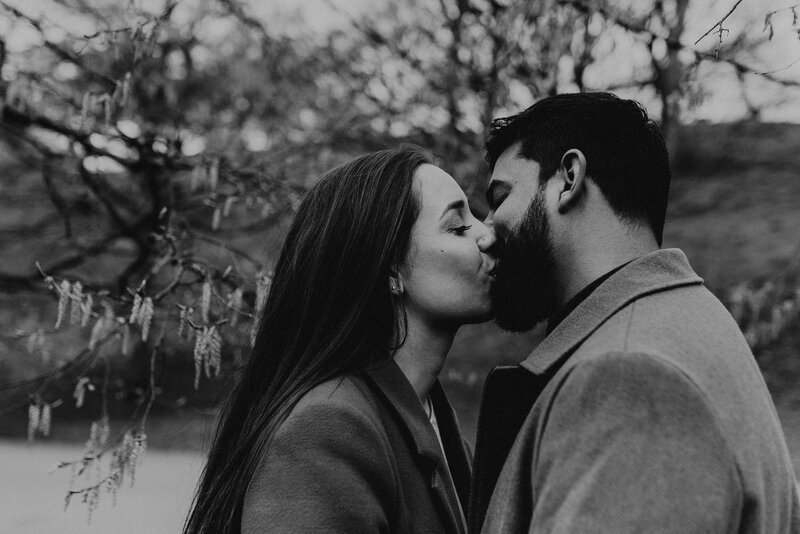 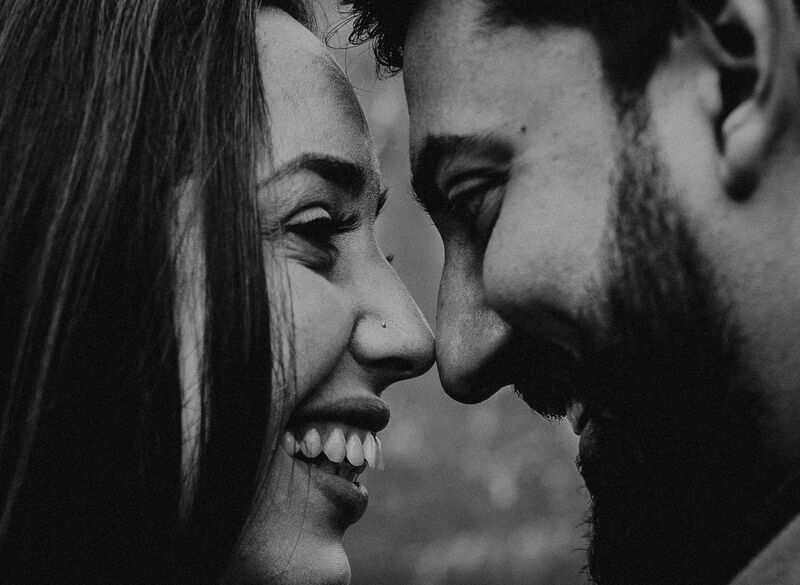 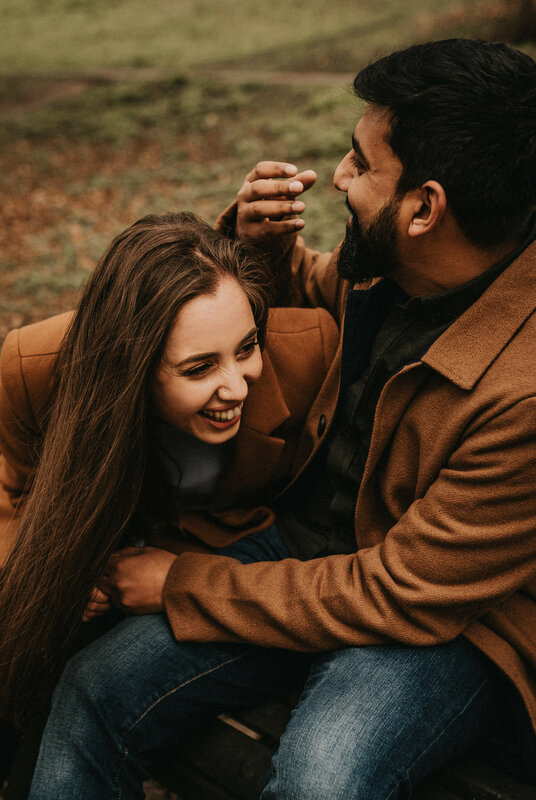 Sabina + Arvind are getting married later this year at Parklands, Quendon Hall in Essex and I just know it’s going to be one hell of an amazing day – you’ll have to pop back in a few months time and view their wedding photos! 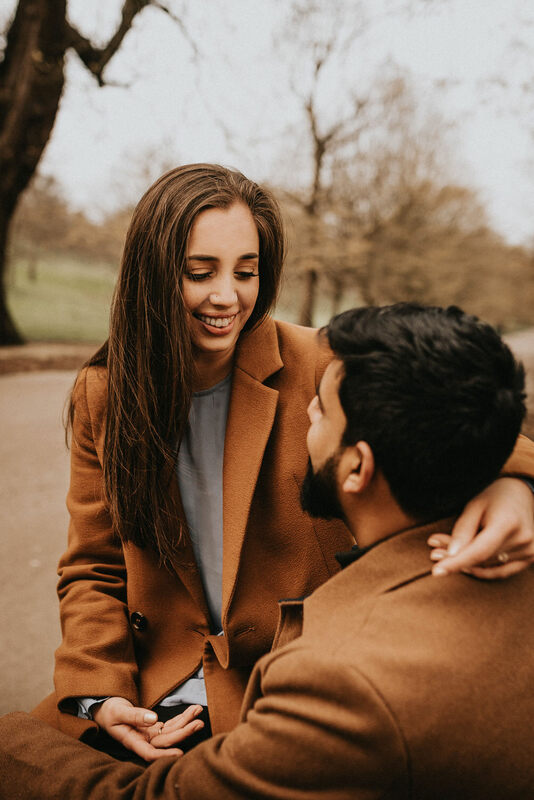 If their Greenwich Park pre-wedding photoshoot is anything to go by, these two are gonna’ be sizzling!